The building at 40 Franklin Street was donated to the college by a group called Rochester Historic Ventures. RIT has officially opened the new headquarters for their small business incubator, and public officials have high hopes for the center. "...knowing that I'm helping a person realize their dreams and being able to achieve them." It's a job she'll now be doing at the new headquarters for CUE at the old Rochester Savings Bank on Franklin Street, a renovation project more than three years in the making. The grand opening was packed with important people. Senator Chuck Schumer, Congresswoman Louise Slaughter, Lt. Governor Kathy Hochul, and Mayor Lovely Warren all spoke in celebration of the CUE building and the broader Rochester context it will fit into. RIT's CUE is seen as a win-win-win. It's supposed to benefit amateur entrepreneurs by helping them figure things out like how to make a business plan. It's expected to help the city by growing small businesses that will boost the economy and create jobs. President Bill Destler says it also represents RIT's triumphant return to the heart of Rochester. "I would like to remind people that we moved out of the city because they built the inner loop right through the downtown campus. And now what are they doing? They're filling it in!" 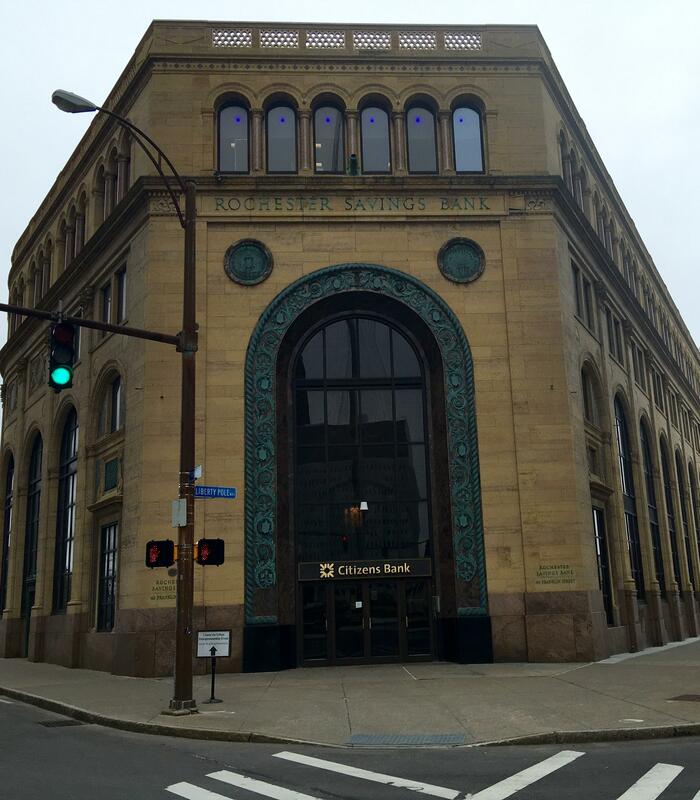 Destler and the other speakers agreed that the opening of CUE's downtown headquarters is another indicator of Rochester's revitalization.